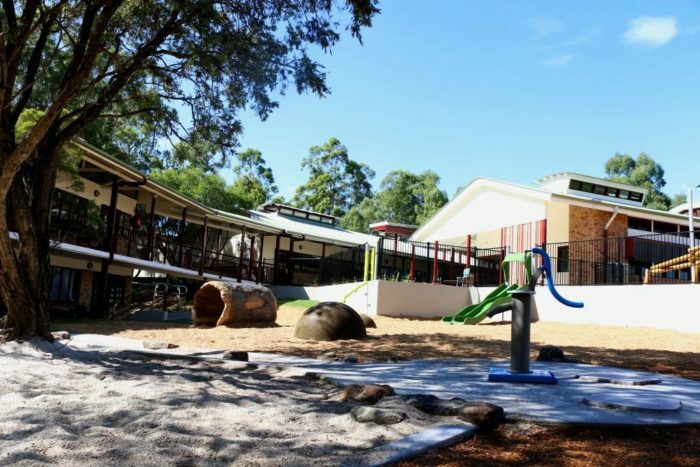 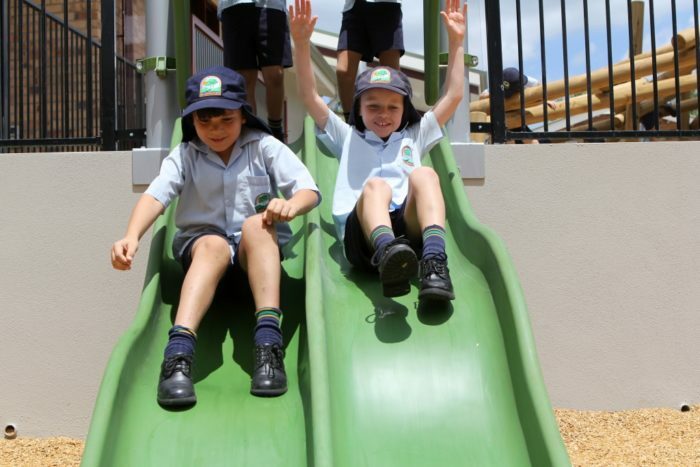 Having worked on a master plan with the College for 2 areas, Stage 1 has now been completed offering a multitude of play for the younger years, including shade over the main system. 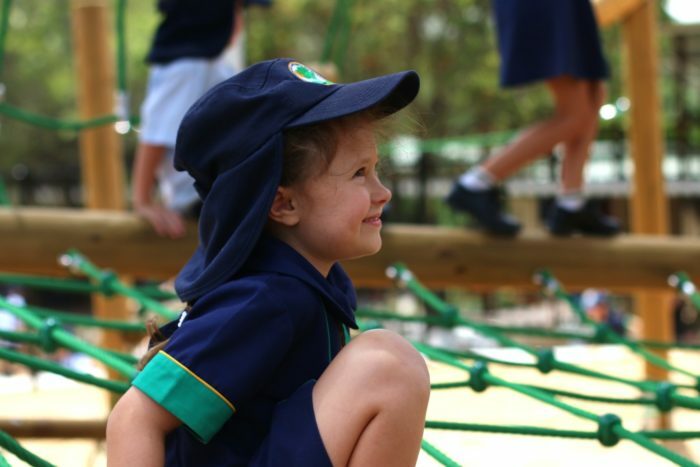 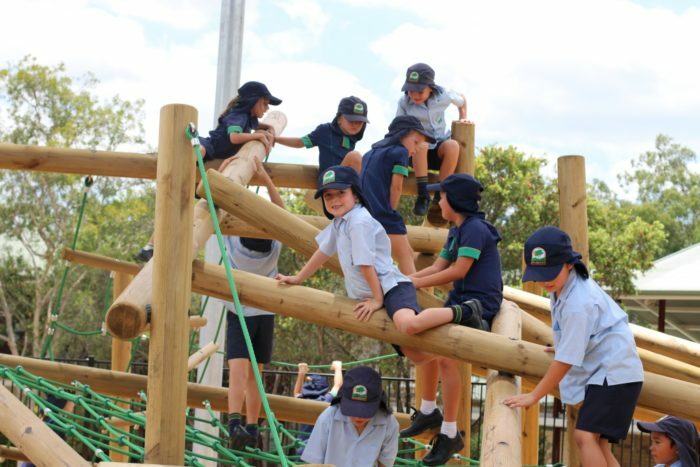 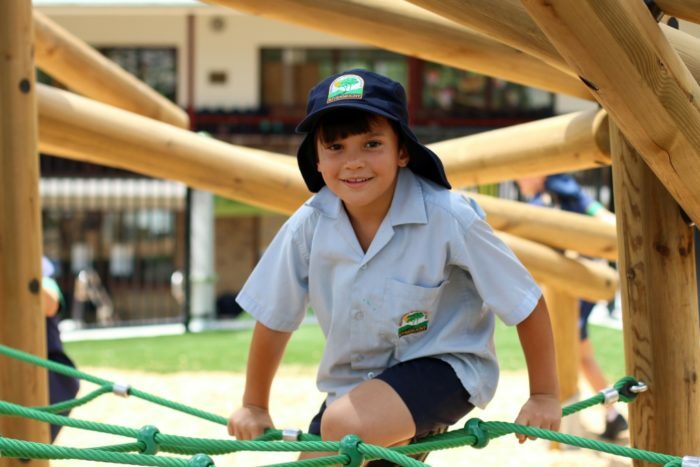 The Jungle Climbers Congo unit has proven a wonderful addition in the school environment – putting that little bit more challenge into the climbing experience as children reach higher and higher. 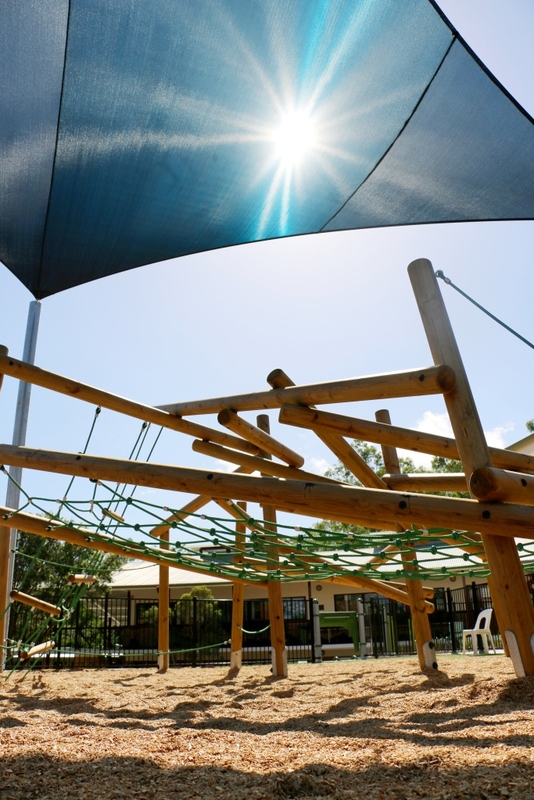 Physical activities and challenges also work around this connecting this raised area to the play area below with a “Lolli” climber and embankment slide transporting children in all directions. 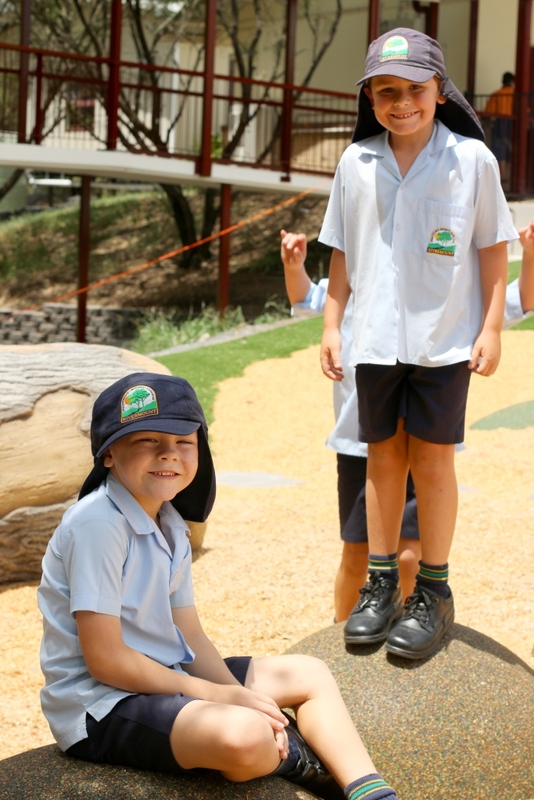 A water pump flowing into a dry river creek bed creates a sensory play addition and is surrounded by native plantings and steppers into the garden bed. 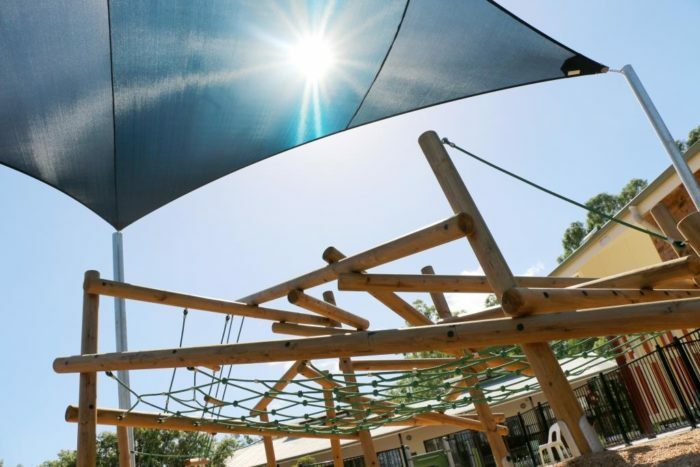 The existing trees provide plenty of natural shade over this space and a microclimate for children to explore, exchange, socialise and be creative. 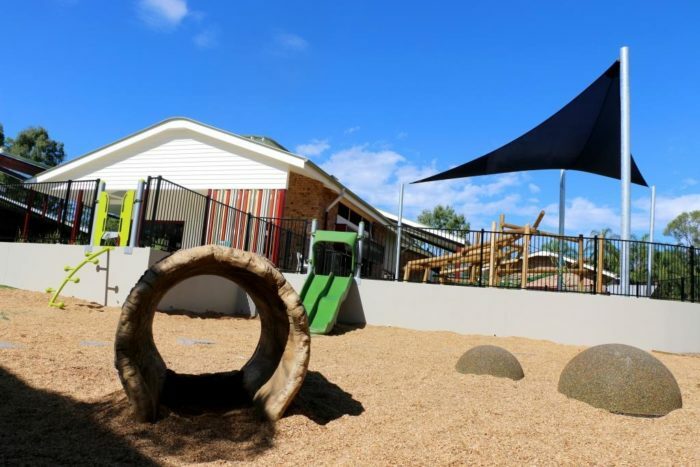 A log crawl tunnel (made from glass fibre reinforced concrete with the look and feel of real bark and wood) and rubber domes provide climbing, jumping and hang out elements, giving every child their ‘just right’ play experience in what we believe is an awesome playspace.